Lets say you want to distribute a certain software program to only a certain set of Puppet Agents. For example, lets say you only want Puppet Agent 1, 2, 8, and 9 to get Nano. You will create a node group, and the add nodes to the group. A node group, as the name implies, is a group that contains one or more nodes. In the left panel of Puppet Master, select Nodes. Complete the Add group form, and select Add. 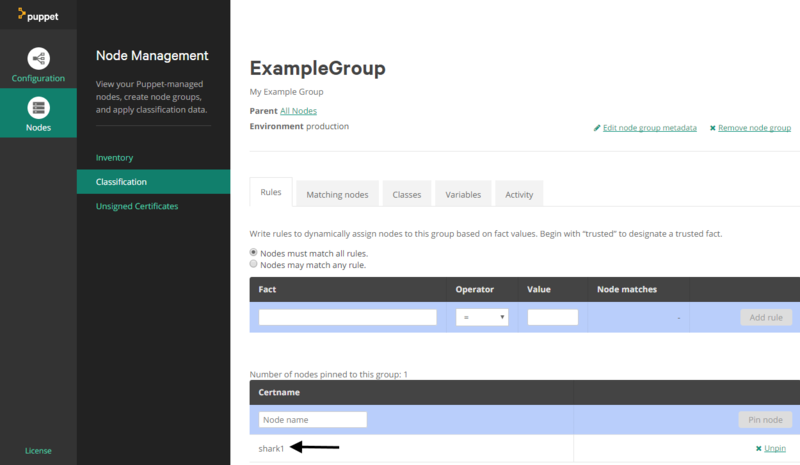 In this example, a node group named ExampleGroup is created. Select the group you want to add nodes to. In Certname, enter the name of a node to add to the group, and select Pin node. In this example, a node named Shark1 was added to ExampleGroup. Select the group you want to add classes to. In the Add new class form, type the name of the module you want to add and then select Add Class. 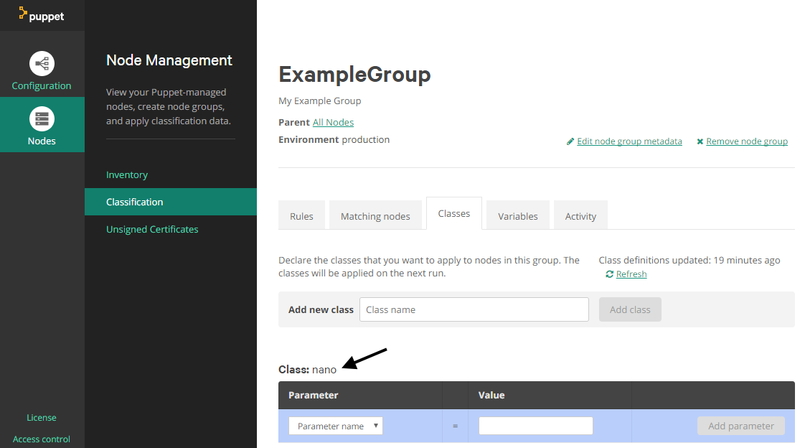 In this example, a class named nano was added. This will install nano on the nodes in the group.